Happy Kitchen Sink Stamps Monday! 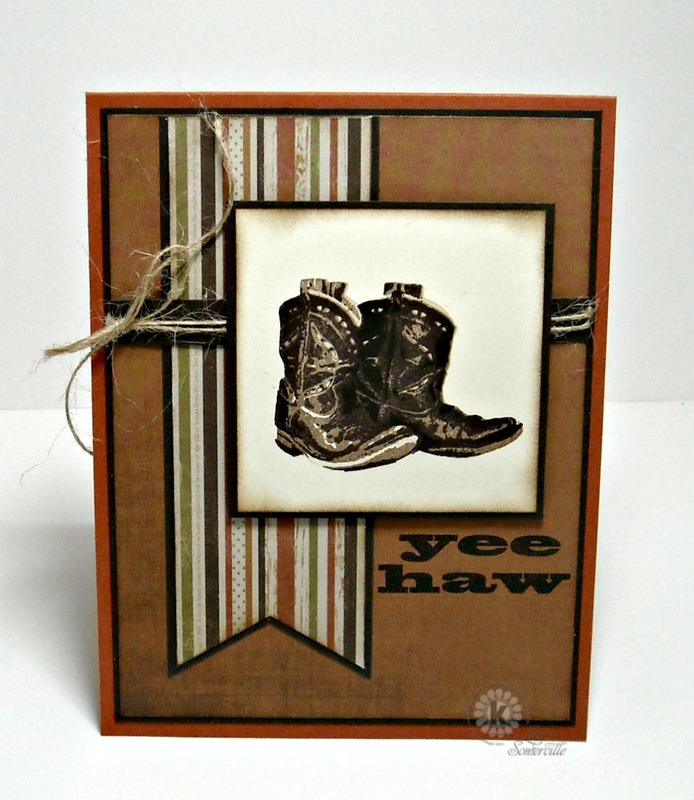 I went more of the CAS route with my card, creating a masculine card using Kitchen Sink Stamps Multi Step Cowboy Boots and Multi Step Cowboy Hat. Dem boots are made for walkin', with my feet in them! Love it.